ADDIS ABABA – Ethiopia has denied reports of the spread of Ebola in the country, saying steps were being taken to raise awareness about the deadly virus. “So far no Ebola case was reported in Ethiopia,” Abel Yeshaneh, spokesperson for the Ethiopian Public Health Institute, told Anadolu Agency on Wednesday. 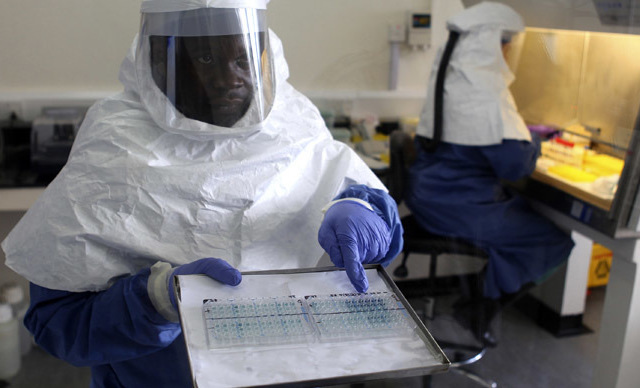 Yeshaneh said the Ethiopian authorities had adopted measures aimed at enhancing their ability to detect Ebola infections, adding that health workers were being trained to combat a possible outbreak. “So far 300 health workers drawn from different health institutions in Addis Ababa have already received training and they will in turn give training to others,” Yeshaneh said. According to the spokesperson, the training focuses on the causes and symptoms of Ebola, along with methods of prevention. “Health professionals working in different health facilities in regional states will arrive here next week to undergo similar training,” he said. He added that a special committee had already set guidelines aimed at preventing a possible outbreak of the virus. Ebola, a contagious disease for which there is no known treatment or cure, has claimed more than 1000 lives across West African states including Liberia, Sierra Leone, Guinea and Nigeria.